Sonic the Hedgehog 4 is arguably among this year's most controversial titles. The reaction from fans has earned more coverage than the game itself, from complaints about Sonic's legs to footage leaks and that infamous mine cart level. 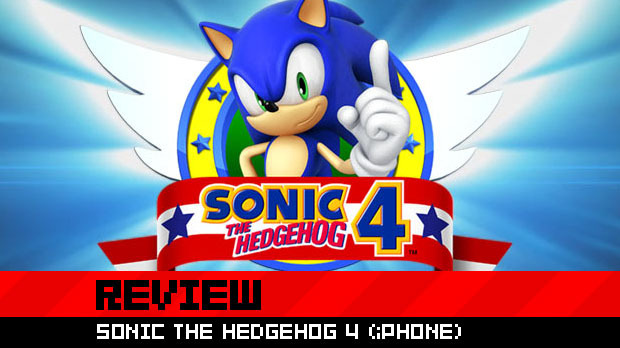 After months of bickering and complaining, Sonic 4 has finally hit the iPhone, a week ahead of its console cousin. Since it's an older build, it could almost be considered a preview of the updated console version, but at $9.99, it better be able to stand on its own two legs. Even if those legs are too long. Sonic the Hedgehog 4: Episode 1 aims to provide an experience that old-school Sonic fans grew up with. Returning to the franchise's roots with 2D platforming action, it has to be said that Sonic 4's intent is both noble and successful ... most of the time. Roughly 75% of the game works really well. The controls are surprisingly adequate on the iPhone, with Sonic feeling responsive and able to make most precise jumps without any issue. The levels are all based on stages from the original trilogy, with Ocean Splash, Lost Labyrinth, Casino Street, and Mad Gear all featuring familiar enemies, designs, and gimmicks. It doesn't feel wholly original, but it's pretty damn fun. Sega must also be commended for striking the right balance between speed and platforming. The original Sonic games were never as fast as people have conned themselves into believing, and Sonic 4 is absolutely the right speed. It's fast when it needs to be, speeding up as a reward after a platforming section, but knows when to slow down for trickier sections. Sonic 4 is never about holding down one button and watching a blue blur blaze its way through a level, which is very much appreciated. Unfortunately, there's a nasty 25% of the game that is anything but appreciated. 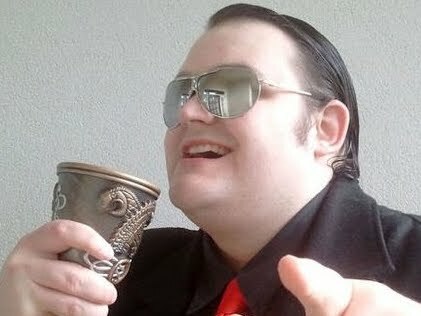 I'm specifically talking about Acts 1 and 3 of Lost Labyrinth and Act 3 of Mad Gear. Each of these suffer from the kinds of problems that have made more recent Sonic games so frustrating to play -- namely cheap pitfall deaths and poorly implemented gimmicks, not to mention the expectation that players are somehow clairvoyant and can avoid deathtraps that appear from out of nowhere. Lost Labyrinth, especially, should never have made it into the game. Making a level that harks back to one of the worst Zones of the original games (Labyrinth Zone from Sonic 1) was a terrible idea in the first place, but to somehow make that level worse, with incredibly finicky jumps and a boss fight that is both overdrawn and incredibly infuriating, defies common sense. Air bubbles for the underwater sections are also incredibly hard to spot this time around. The first and third acts of this Zone are among the worst of the entire 2D Sonic series. It should be noted with a great sense of irony, then, that the notorious "Mine Cart Level" is actually one of the very best stages in the game. 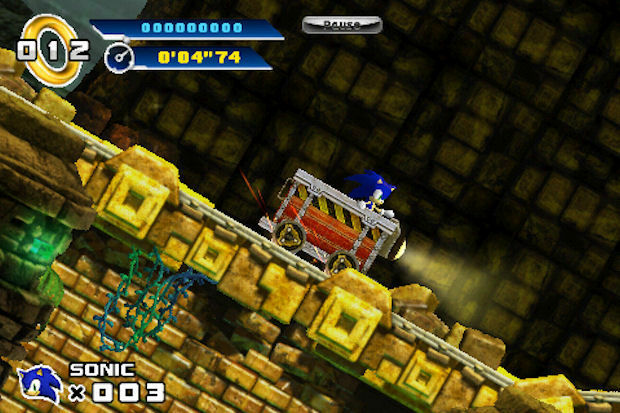 Easy and fun to control, with just the right sense of speed, the Mine Cart stage is one gimmick that Sonic 4 actually pulls off incredibly well. If the other gimmicky elements could have been half as good, then this would have been an excellent title indeed. Levels that include being chased by crushing walls or shooting out of cannons are definitely the weakest parts of the game. Sonic's at his best when he's simply navigating through traditional platforming levels, not getting squashed because the player couldn't predict the precise timing that Sonic Team wanted for a particular trap (I am convinced Mad Gear Act 3 was designed by monkeys), or drowning because it's never communicated to the player how one is supposed to exit the suddenly introduced water chambers. There's even a bit at the end of one level (Casino Street Act 3) where you'll have to kill yourself if you mess up, and that's not cool. It's a real shame that these problems are peppered throughout what is, fundamentally, an incredibly sound experience. When Sonic 4 does it right, it really does it right. Sonic's homing attacks are surprisingly fun to pull off and even work 95% of the time, most of the bosses are pretty cool, and the overall game does a pretty decent job of emulating a more retro Sonic experience. It needs stressing that the greater portion of the game is very satisfying and fun to play. All of Ocean Splash Zone feels like an old friend, with its breezy soundtrack, bright graphics, and classic gameplay. Casino Street and Mad Gear all have recognizable trappings but often end up more fun than the original levels they emulated (Casino Night Zone and Metropolis Zone were never the most fun of stages). One thing that Sonic 4 can't be faulted on is its sense of character. The excellent music is definitely among the game's biggest returns to form, and the animations of Sonic and Dr. Eggman are rather endearing. Each level has a distinctive design that takes a clear inspiration from their original Sonic levels but boasts an updated look. The iPhone version is also noteworthy for rotating the whole screen when Sonic does a loop-de-loop, a little touch that never gets old. 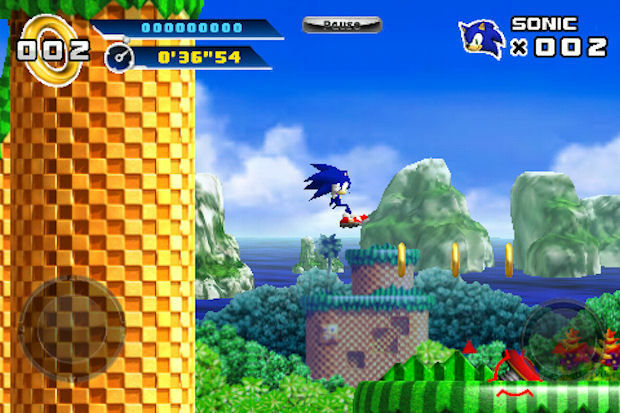 As always, Special Stages are part of the package, and they take the form of the original Sonic the Hedgehog stages, as players navigate a curled Sonic through a maze in order to find a Chaos Emerald. Tilt-controlled and definitely less strict and slow than the originals, these Special Stages aren't mind-blowing but are more enjoyable than they have any right to be. As it stands, Sonic 4 is a pretty good title. Not fantastic but certainly far from terrible. The bad is fortunately outweighed by the good, and the addition of a Level Select means that replaying the game won't require you to suffer through the low points in order to get to the good stuff. 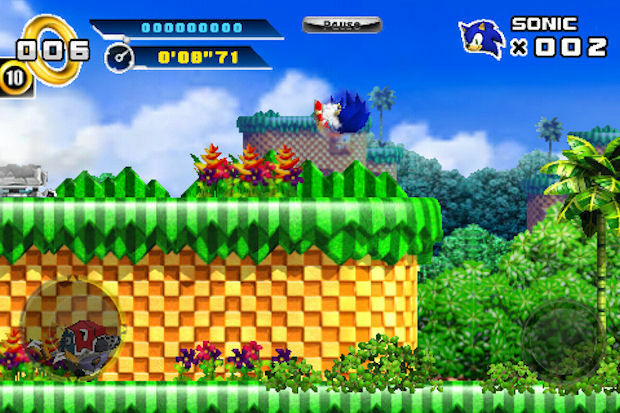 The remixing of older levels feels like a nice primer -- a reintroduction, if you will, to the older Sonic games. 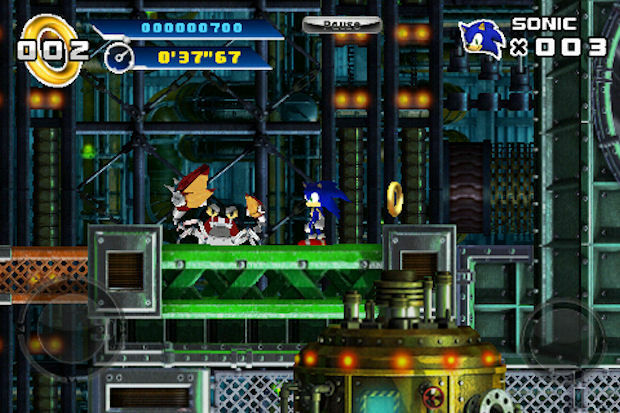 Hopefully, future episodes will give us completely original levels, but for a first effort, the modernization of old Sonic stages is a nice return. It's just a shame that the quality of design suffers from inconsistency. Sonic the Hedgehog 4: Episode 1 is a mixed bag, with plenty of good things soured by a sprinkling of bad. While the majority of the game is enjoyable, there are certain aspects that simply should not have been allowed to enter the final product. As the first installment of a series, I'll say that Episode 1 is a good start. It could have been a fabulous start though, and for a $9.99 iPhone game, you really do need to be fabulous.